Waiting On Wednesday is a weekly meme hosted by Jill over at Breaking the Spine, in which bloggers talk about the books they are most eager for! Okay, All The Rage doesn't have a cover yet, or a release date...or technically a real summary, but I honestly couldn't wait any longer to feature it was my Waiting On Wednesday pick! 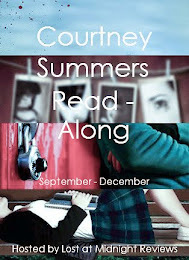 I am a huge Courtney Summers fan, and her most recent release This is Not a Test, is my favorite book so far in 2012! I am always looking to Summers' next book because I know it'll be filled with beautiful writing, impacting characters, and a story that will burn itself into my heart. That's just what she does. Her books are some of the finest and most stunning books the YA genre has to offer, and she is a must read author in my opinion. All The Rage looks like it's going to be one heck of a dark and twisted book. Summers' talked about how the story is really close to her heart, and also that the characters have a lot of intense issues (unsurprisingly)! 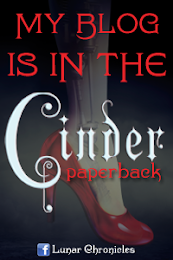 I'm absolutely dying to read it, and I know it'll be just as amazing as all of Courtney Summers' other novels! Note: I'll hopefully be updating this post as the summary, release date and cover are revealed. And I'll probably be featuring the cover in a future All Covered Up! I have been dying to read this as well. I simply love the entire "synopsis" and it sounds so intense. I can not wait to see a cover for it. Great pick. I love the concept. It's right up my alley. Thanks for sharing. Thanks for stopping by! I love myself some comments so if you have one feel free to add it! Hope you have an awesomely book-filled day! My name is Ciara (KEER-ah). Twenty-something. Book reader. Bookseller (with Indigo Books & Music Inc.) Chocolate eater. Dance party enthusiast. Girl against the world with a smile made for war. Stacking the Shelves (16): Ireland Edition! A Change of Scenery: Myself! Blog Update and Important Announcement!